Eddie Albert Heimberger was famous for his acting skills but few know of his heroism in WW2. Eddie in the battle of Tarawa disobeyed his orders to collect reusable supplies from the initial landing and instead rescued over 40 marines who were trapped offshore under heavy machine gun fire. 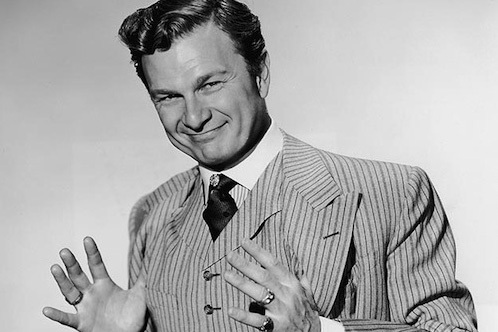 Eddie Albert grew up in Minneapolis Minnesota where he studied business at the University of Minnesota. After the stock market crash he had to look elsewhere for employment. Working many different jobs such as an insurance salesman. He finally landed a job co-hosting a radio show, The Honeymooners. Once the show ended Warner Brothers offered him a film contract and he was soon performing on Broadway. Eddie then began performing on early television for RCA and NBC. He continued though to do work in the film industry acting in films such as Brother Rat with Ronald Reagan. In 1943 he toured Mexico as a clown taking pictures of German U-boats undercover for the U.S. Army. The battle itself started on November 20 1943 with bombardment from multiple U.S. destroyers and an air attack. After the lagoon was cleared of mines the marines then launched their assault on the beaches surrounding the pier. The marines spent two days without reinforcement pushing across the island. The initial attempts to land tanks on the island failed because but they got hung up on the reef much like the landing craft did. Eventually they successfully landed some Sherman and Stuart tanks on the island but only one was operational by the end of the day. By noon the marines managed to push to the base of the airfield. The Japanese were unable to launch a counter attack because of severed communication lines from naval fire and the loss of admiral Shibazaki. The second day of the battle the marines turned their focus to green beach on the west end of the island in order to land reinforcements there. With heavy naval support there were able to take the beach with minimal losses. Beaches Red 2 and Red 3 took more effort to take because of Japanese machine gun emplacements set up during the night but there were eventually able to punch through and made it to the airfield. The third day started with a reorganization of troops and an offensive. Pushing the Japanese back to a small part of the island. That night a counter offensive was assembled but was largely thwarted with artillery fire. On the third day the Japanese starting to become desperate started banzai charging the American troops. The Americans began to bombard the small area of the island left under Japanese control. Soon after with the help of two Sherman tanks and five light tanks the marines were able to completely take control of the island. After Eddie Albert joined the Navy he sailed to Tarawa not as a marine but as a salvage officer aboard the ship Sheridan. His first mission was to unload a group of marines and supplies on the beach. Unknown to him earlier that day a missed calculation in the tides had left many maries stranded offshore. The miscalculation in tides meant that only the LVT (Landing Vehicle Tracked) where the only landing craft able to make it past the reefs surrounding the island. The LVTs did not have armored hulls and many were taken out of action due to machine gun fire putting holes through their hulls. The Higgins boats that were supposed to be used would have been better suited for the job because they are offer more protection for the soldiers in the boat and can take small arms fire but they could not clear the reef. During his mission he came across about 150 marines, 100 of which were still alive “waist deep in the water, suffering rapidly mounting casualties from strafing by several machine gun nests on the end of the pier, in the sunken ship, and by numerous snipers in abandoned AmpTracs and LCVP’s.” (Edward Heimberger 1943, 1) Albert and Lieutenant Fletcher in a different boat began to rescue the survivors and bring them back to the safety of the ship. They made three or four trips, Eddie’s boat suffered damage to its prop and he was ordered to return the ship. By this time the tide was beginning to rise making it difficult for the marines still trapped offshore. Eddie then decided to return with more small crafts to pick the rest of the stranded marines in one trip. When they got close to the shore it was clear that the enemy had “added to their fire-power.” (Edward Heimberger 1943, 2) Because of the added fire-power the officer decided to rescue the marines one boat at a time under the covering fire of the rest of the boats. In addition to added machine guns, enemy snipers started firing on the ship sent in to rescue the marines. This slowed their progress but they were eventually able to eliminate the sniper with the boats machine guns. After the final wounded men were aboard the boat the few remaining uninjured marines, without rifles, asked Eddie to bring back supplies to fight because they wanted to try again to get ashore. Eddie headed back to the ship to drop off the wounded. On his way back he continued to be under heavy fire. “The men, meanwhile, were stamping out the incendiaries before they could do any damage.” (Edward Heimberger 1943, 2) One of the greatest concerns was incendiary rounds lighting one of the eight fuel barrels on fire and then exploding the entire boat. Eddies boat was so overloaded on the return ship that the deck of the boat was a foot or two below the water line. After doping off the injured marines “He returned later only to discover that they (the soldiers that asked him to get them rifles) had fallen under enemy fire.” (Millitary.com,1) Eddie was awarded the bronze star for his actions on November 29 1943. After the successful landing of troops on the islands Eddie spent the next three days mostly on the island helping the marines. In an interview he says that he does not remember a whole lot of what he did on the island, possible due to Alzheimer’s. But he does remember staying the night in a depression on the island. While there somebody fell on top of him. They stayed there all night. They woke up to some Japanese soldiers in the tree above their heads. Both of them ran out of the depression in the morning before it was bright enough that the Japanese could see them. He later learned that it was Lieutenant Colonel Evans Fordyce Carlson the leader of the Carlson’s Raiders. Eddie also in his after action report talked about how he “believes he caused great additional damage to badly wounded men when he had to lift them from the water up over the high freeboard of the LCVP’s and then lower them to the deck.” (Edward Heimberger 1943, 3) He suggest that in similar situations a stretcher be used in order to not aggravate their injuries. The battle of Tarawa was important to the war in the pacific because it was one of the first stepping stones towards Japan. Before the battle of Tarawa, the Americans had to first stop the advance of the Imperial Fleet at the battle of Midway. The first decisive victory for the Americans in the Pacific theatre with three Imperial aircraft carriers being destroyed. After the Imperial advance was stopped they U.S. turned around and began pushing back towards the Japanese mainland. Another important impact of the battle of Tarawa was the reports and images that made it back home. The nation seeing these awful pictures and accounts of the war made them second guess the decision to attack the Japanese head on. General MacArthur saying “These frontal attacks by the Navy, as at Tarawa, are a tragic and unnecessary massacre of American lives.” (Alexander 1943, 54) One reporter saying “Comin back and looking at it now. I don’t see how we ever took Tarawa. It was impossible. The island was impregnable, but the marines took it.” (Leopold 1993, 1) The public opinion eventually swayed back to the necessity of attacking the Japanese head on. Possibly the most important and long lasting impact of the battle of Tarawa was the creation of the Navy-Marine Corps amphibious team. The battle of Tarawa set a benchmark for future amphibious assaults. The assault team at Tarawa was able to overcome a broad daylight frontal assault on a heavily defended island. Therefore, validating and defining the amphibious doctrine. The U.S. used an island hopping strategy to try and put pressure on the island of Japan. The Japanese foresaw this strategy and placed strong defenses on the islands in-between the U.S and Japan. The U.S. were specifically looking to take the Mariana Islands, in order to take the Mariana islands, they knew they were going to need heavy air support. The only islands that could be set up to provide the air support where the Marshall Islands. The only problem is that the Marshall Islands communications would be cut off by the air base at Tarawa. Therefore, they started their attack at Tarawa. Eventually in June 1944 the U.S. forces were successful in taking over the Mariana Islands. The Mariana Islands were of strategic importance to the U.S. because it is one of the few islands that are large enough to build runways large enough to launch the B29 Super fortress bomber. Also it split some of the islands form being able to have direct contact with the Japanese mainland. Both sides knew of the strategic importance of the islands making it a very bloody battle. After the war Eddie Albert continued his successful acting career. He appeared in over 100 movies before his death in 2005. He was awarded the NSFC award for his acting as well as a star on the walk of fame. Also in 1953 he had his own show called the Eddie Albert Show. Another more notable movie Eddie acted in is the original longest yard where he played the prison warden. Eddie married Margo, a Mexican actress, in 1945. Margo was criticized by some because she was acquainted with members of the American Communist Party. Both Margo and Eddie where published in Red Channels, a pamphlet that tried to expose communist influences. They had one child Edward Jr. and later adopted a girl, Maria. Edward Jr. continued his dad’s legacy as an actor, winning a golden globe for new star of the year for is role in Butterflies Are Free. He also continued his dad legacy in environmental activism fighting for Native American rights. Maria became Eddies business manager. Eddie Albert was also an activist in social and environmental issues. He was involved with Meals for Millions becoming a special envoy. Meals for Millions was a project that created nutritional means for about three cents per meal to be distributed to countries in need. 6.5 million pounds of food was given out to a total of 129 countries, and they are still going. He also founded the City Children’s Farms to try and make small farms for inner city children. Eddie fought against pollution as well especially DTT. DTT is toxic to many sea creatures and also effects the thickness of egg shells in birds such as the Bald Eagle. Eddie Albert also involved with the Boy Scouts of America, becoming the national chairman. He was also involved with the start of Earth Day, speaking at its opening ceremony in 1970. Eddie Albert was diagnosed with Alzheimer’s disease late in his life. He died at age 99 on May 26, 2005 from pneumonia. He is buried at Westwood Vilage Memorial Park Cemetery next to his wife.